I consider gold a form of money. That means I investigate price movements in gold the same way I investigate moves in any other global currency — and find the best way for you to play it. Right now, if you understand physical gold flows, you could stand to make a fortune in the months and years ahead. Last June, I visited Zurich and was able to meet with some of the most knowledgeable experts and insiders in the physical gold industry. In March, I visited Lugano where I met with the top executive of the world’s largest gold refinery. As a result of these visits to Switzerland, and other points of contact, I have been able to gather extensive information on the major buyers and sellers of gold bullion in the world and the exact flows of physical gold. Your correspondent inside a secure vault near Zurich, Switzerland, with an array of 400 ounce gold bars. Each bar is individually stamped with the name of the refinery, a serial number, purity, name of the assayer, and the date it was refined. These bars are worth about $535,000 each at current market prices. This information about gold flows is critical to understanding what will happen next to the price of gold. The reason is that the price of gold is largely determined in “paper gold” markets, such as Comex gold futures and gold ETFs. These paper gold contracts represent 100 times (or more) the amount of physical gold available to settle those contracts. As long as paper gold contracts are rolled over or settled for paper money, then the system works fine. But, as soon as paper gold contract holders demand physical gold in settlement, they will be shocked to discover there’s not nearly enough physical gold to go around. At that point, there will be panicked buying of gold. The price of gold will skyrocket by thousands of dollars per ounce. Gold mining stocks will increase in value by ten times or more. Paper gold sellers will move to shut down the futures exchange and terminate paper gold contacts because they cannot possibly honor their promises to deliver gold. The key to seeing this gold-buying panic in advance is to follow the flows of physical gold. 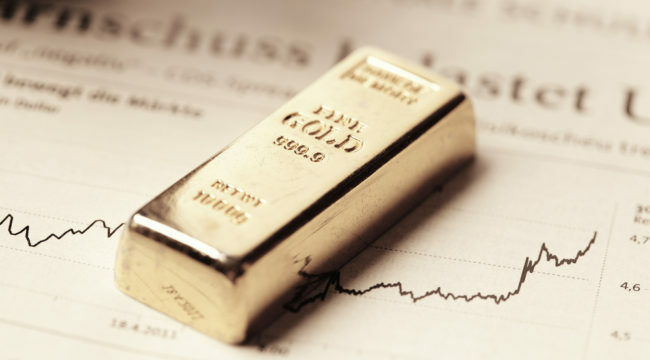 Once the price of physical gold starts to move up on basic supply and demand fundamentals, the stage is set for corresponding increases in paper gold prices. As more and more paper gold holders turn from the paper market to obtain physical gold, which is already in short supply in the physical market, we’ll see the beginning of a price super-spike. As long as supply and demand for physical gold are in rough equilibrium, there is no catalyst for a sudden spike in gold prices, apart from the usual geopolitical flight to quality demand. But, as soon as demand begins to overwhelm supply, then it’s “game on” for significantly higher physical gold prices followed by the toppling of the inverted pyramid of paper gold contracts. What information do we have about the flows of physical gold that will help us to understand the supply/demand situation? That’s a mixed bag. Some physical gold players are completely opaque and do not report their purchases or holdings transparently. The Chinese and Saudi Arabians are the least transparent when it comes to reporting their gold market activities. On the other hand, the Swiss are highly transparent. The Swiss report gold imports and exports by source and destination on a monthly basis. The Swiss information gives us a window on the world. That’s because Swiss imports and exports are mostly about the Swiss refining business, which is the largest in the world. There are no major gold mines in Switzerland and Swiss citizens are not known as major buyers of gold (unlike, say, Chinese or Indian citizens). The Swiss watch industry does use a lot of gold, but imports are balanced out by exports; Switzerland itself is not a major destination for Swiss watches. In effect, Switzerland is a conduit for much of the gold in the world. Gold arrives in Switzerland as 400-ounce good delivery bars (the kind I’m holding in the photo above), doré bars (those are 80% pure ingots from gold miners), and “scrap” (that’s the term for jewelry and other recycled gold objects). This gold is then melted down and refined mostly into 99.99% pure 1-kilo gold bars, worth about $45,000 each at current market prices. These 1-kilo “four nines” quality bars are the new global standard and are the ones most favored by the Chinese. By examining Swiss imports and exports, we can see where the supply and demand for physical gold is coming from and how close to balance (or imbalance) that supply and demand is. This information can help us to forecast the coming super-spike in gold prices. Importantly, Switzerland has been a net exporter of gold for the past four months. More gold is going out than is coming in. This means demand remains strong, but supplies are tight. Switzerland does not produce its own gold. Some refiners may have inventories and there are gold vaults in Switzerland that are a potential source of supply. But the high-net worth individuals who keep their gold in Switzerland are long-term buy-and-hold investors and tend not to sell. On balance, these net outflows are unsustainable. If the outlfows persist, the price of gold is likely to go up because that’s the market’s solution to excess demand. The “big five” destinations are China, Hong Kong, India, the U.K. and the United States. Those five destinations account for 91% of total Swiss gold exports. Hong Kong demand is mostly for re-export to China. This is revealed through separate Hong Kong import/export figures, which are also considered reliable by international standards. Using Hong Kong as a conduit for Chinese gold is just one more way China tries to hide its true activities in the physical gold market. Bear in mind that China is the largest gold producer in the world. There is an additional 450 tons per year of indigenous mining output available to satisfy China’s voracious demand for official gold, held by its central bank and sovereign wealth funds. Chinese demand has been tempered by the recent strong dollar, which makes gold more expensive when purchased for yuan. That headwind may be about to dissipate if the Fed engineers a weaker dollar (which we expect) to deal with a slowing U.S. economy. Switzerland has exported 102 tons to the U.K. and U.S., almost all to satisfy demand from ETF investors. Will this strong demand persist? ETF demand runs in a feedback loop relative to gold prices. When gold is going up, ETF demand goes up also which puts more upward pressure on the price. This also works in reverse as we saw in 2013. When gold is going down, ETFs tend to disgorge gold, which puts further downward pressure on the gold price. Either way, ETF demand tends to be pro-cyclical and to amplify whatever gold is doing based on other factors. If we have reason to believe that gold prices are going up on their own, ETF demand will tend to drive the price even higher and faster. 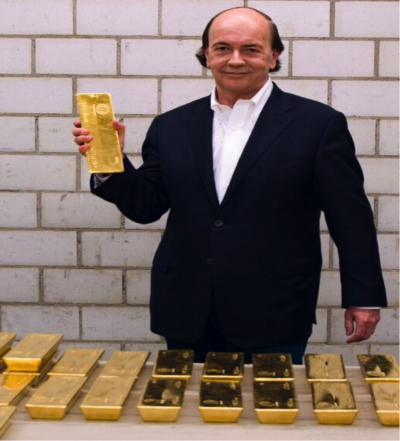 Supplies of gold in Switzerland are already tight (I heard this first-hand from my refinery and vault contacts there). If that shortage gets worse, as we expect it will, there’s only one way to adjust the Swiss gold trade imbalance — higher prices. Once the higher prices kick in, the ETF demand will send it into overdrive. From there, it’s just a matter of time before the whole paper gold pyramid comes crashing down. Gold prices are set to skyrocket based on a combination of supply and demand fundamentals and the ETF pro-cyclical feedback loop. If gold goes up, the prices of gold mining stocks go up even faster. In effect, buying gold mining stocks is a leveraged bet on the price of gold itself. Ed. Note: Sign up for your FREE subscription to The Daily Reckoning, and you’ll start receiving regular insights for specific profit opportunities. By taking advantage now, you’re ensuring that you’ll be financially secure for the future. Best to start right away – it’s FREE.